August was born in the Chagga village of Marangu, on the slopes of Kilimanjaro. Growing up with the mountain in his back yard, and other family members working as guides, it was a natural progression for August to learn to be a guide. 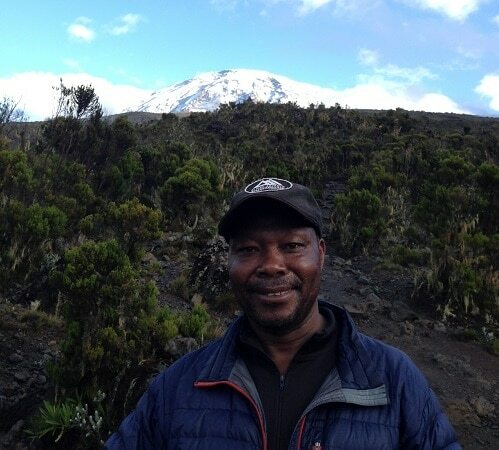 August has been working as a guide on Kilimanjaro for more than 30 years. August is a father of 4 children, and continues to live in Marangu Village with his family. His daughter is the first in the family to attend college, and works in Dodoma, the capital of Tanzania, as a teacher. August is a master pacer, beloved by clients for his ability to maintain the “all day pace”.